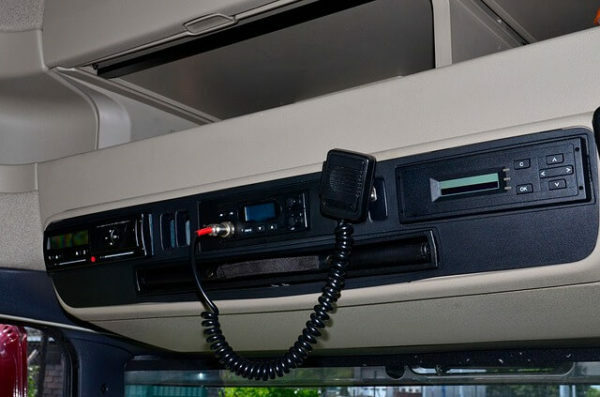 CB radio installation for many people seems like a daunting task that can only be handled by a professional. This is largely due to the fact that, besides installing the radio onto your vehicle, there’s also tuning to be carried out. Through this short but detailed guide, I’ll take you the steps you should take to set up a CB radio on your vehicle like a pro. Many CB radio owners prefer to mount their units on the dashboard. Here, you’ll get a clear view of the radio and easily access it. It also offers minimal obstruction to the vehicle’s users. The downside of mounting your CB on the dashboard is that it’s directly exposed to the sun’s heat and is prone to theft. If your vehicle has ample head space, I’d recommend you mount your CB above the rear view mirror. At this point, the CB is easily accessible, isn’t exposed to the sun’s heat and doesn’t cause any obstructions. You should however ensure that the CB device is safely secured to prevent it from falling off. This location offers the most mounting options. If you have a small CB, its easy to install within one of the compartments built into the dashboards center console. Other great installation points include the side of the center console and under the dashboard. Once the CB is mounted, you’ll need to install the antenna. I’d recommend mounting it on the vehicle’s roof as this will provide the best signal reception. Once this is installed, you’ll have to connect the antenna to the CB using a coaxial cable. Next, connect the CB to the power source which is most likely the cigarette lighter socket or directly to the car’s battery. Connect the coaxial cable to the SWR meter via the antenna port. Next, connect the SWR meter to the CB using the jumper lead via the transmitter port. Switch on the SWR to FWD’ and turn on the radio to channel 1. Press the mic button and hold while turning the SWR adjusting knob until the needle moves to the extreme end of the range. Switch the SWR to SWR’ while still pressing the microphone button. Read and record the SWR reading and repeat the procedure for the remaining 39 channels. Your goal is to achieve an SWR ratio of between 1.5:1 and 1:1 for all channels. Anything above 1.5:1 will shorten your CB radio’s life. You should note that if the SWR reading on channel 40 is higher than that on channel 1, you will have to shorten the length of the antenna and vice versa. As you can see, installing and tuning you CB radio isn’t as hard as it seems. If you follow the steps outlined in this guide, you should be able to mount and tune your CB in a few hours.